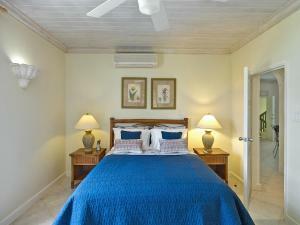 A-HOTEL.com - Luxury and cheap accommodation in Farm Road, Barbados. Prices and hotel, apartment booking in Farm Road and surrounding. Calabash is located in Mullins, St Peter, on the Platinum Coast of Barbados. Calabash is a two-bedroom property with living area incorporating a well equipped kitchen. Gibbs Hill St. Peter is set in Saint Peter. Situated in Saint Peter, Driftwood Villa, Mullins features accommodation with a private pool. The accommodation has free WiFi. Located in Saint Peter, 11 Gibbs Glade features accommodation with a private pool and private parking. This holiday home also features free WiFi. With a garden and a terrace, Magical Places, Gibbs Hill # 2 is situated in Saint Peter and offers free WiFi. Providing a patio, some units are air conditioned and feature a dining area and a seating area with a satellite flat-screen TV. Boasting a garden, an outdoor pool and pool views, Magical Places Chalet #1 is located in Saint Peter. It has garden views and free WiFi. Casuarina Grande is situated in Saint Peter. Free WiFi is offered. Providing garden views, Mullins Grove in Saint Peter features accommodation, an outdoor swimming pool and a garden. Free WiFi is available. Legend Garden Condos stands on a 250-year old plantation across the road from Mullins Beach, one of the most popular beaches on the west coast. These Barbados apartments feature an outdoor pool with massage and spa facilities available close by. Featuring free WiFi, an outdoor pool and a barbecue, Gibbs Glade Cottage & Garden Studios offers accommodation in Gibbs, Saint Peter, 2.4 km from Speightstown. Set in Saint Peter, Shoestring features accommodation with a private pool, a terrace and sea views. Guests staying at this apartment have access to a fully equipped kitchen. Boasting a garden, a terrace, and a bar, Caira House offers accommodation in Saint Peter with free WiFi and pool views. Guests staying at this villa have access to a fully equipped kitchen and a balcony. Beacon Hill 303, Tradewinds offers accommodation in Mullins, 26 km from Silver Sands and 15 km from Bridgetown. Guests can enjoy sea views and a relaxing swim in the communal pool on the roof terrace. Located in Saint Peter, Calmar Cottage is a villa featuring an outdoor pool, hot tub and gym. Guests benefit from free WiFi and private parking available on site. Set in Saint Peter, Battaleys Mews provides accommodation with a private pool. The villa has sea views and is 32 km from Silver Sands. Situated in Saint Peter, Jalousie Villa with Private Pool offers a private pool. This property offers access to a terrace and free WiFi. Rock Ridge is set in Saint Peter and offers an outdoor swimming pool. This villa also has a private pool. Dudley Wood, Gibbes Beach is situated in Saint Peter and offers an outdoor swimming pool and a garden. With sea views, this accommodation offers a patio. Situated in Saint Peter, La Lune provides accommodation with a terrace and free WiFi. This beachfront property offers access to a patio. Mullins View 14 is set in Saint Peter. This apartment features air-conditioned accommodation with a patio.